Buttermilk biscuit. Pancetta. Aged Gouda. Oh, I went there. And trust me, you want to go there too. 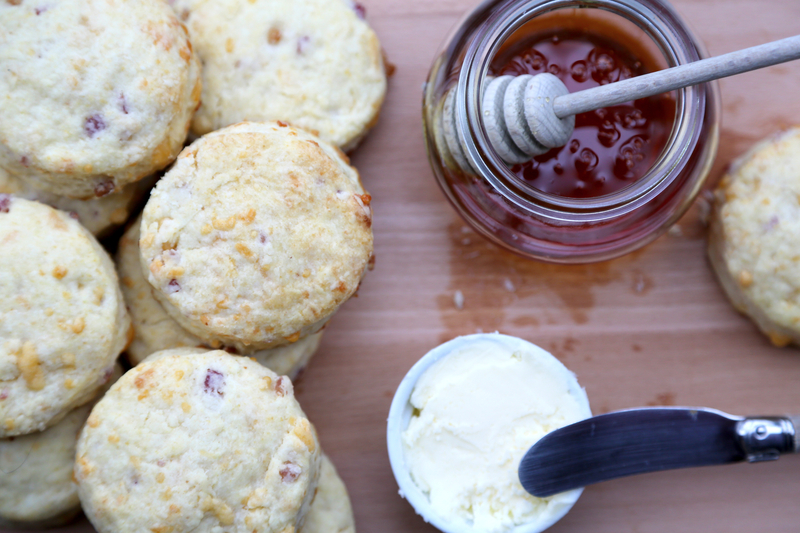 I love a good biscuit (any respectable person does)– warmed on its own, with a pat of sweet butter and honey, drowned in country gravy, and on and on and on. 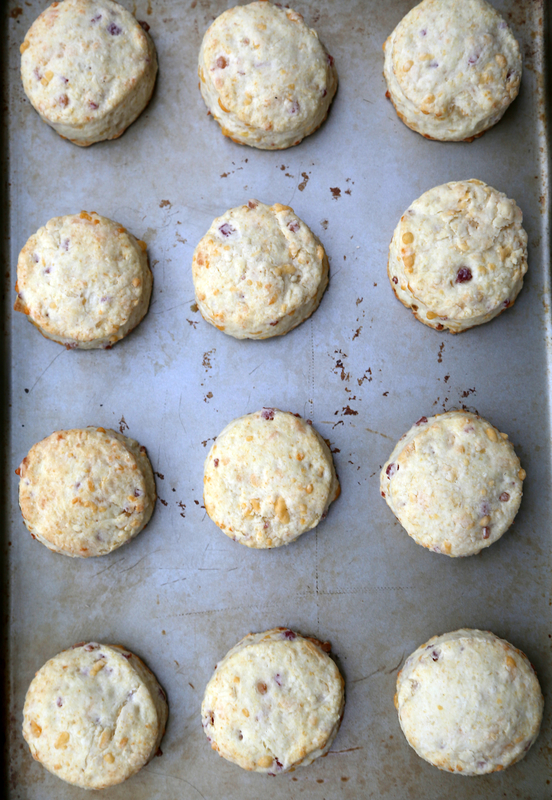 Yep, I love a good biscuit, but savory ones hold a special place in my heart. And well, if I’m being honest, salty cured meats and aged cheeses also hold a special place in my heart. 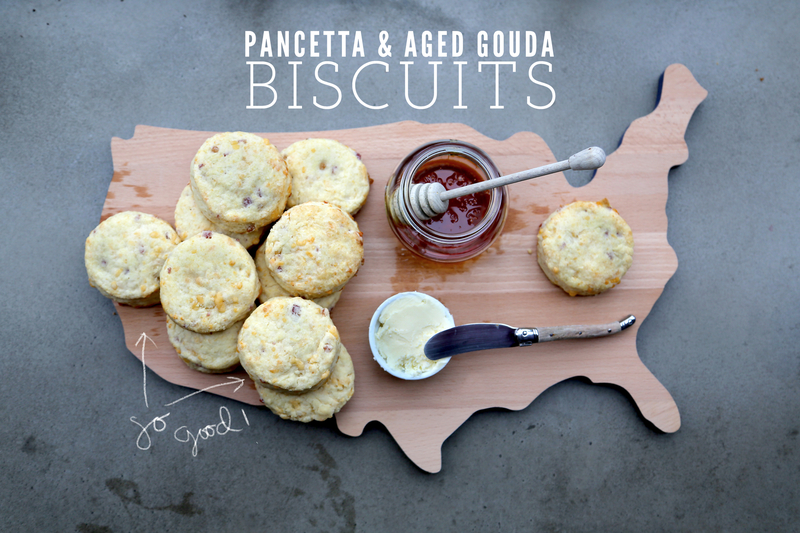 And since I’m a sucker for love, there was really only one thing I could do: a pancetta, aged Gouda, biscuit love fest. You’re welcome. Superfluous Diamond pic. 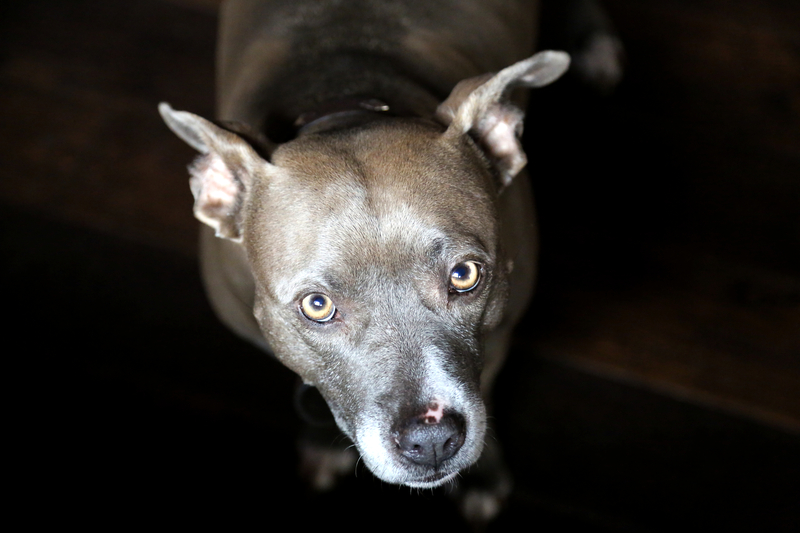 This was her watching me photograph these oven fresh biscuits. I’m pretty sure she was hoping one would fall on the floor. No such luck, little dog. Cook pancetta in a pan and set aside to drain on a plate lined with paper towel. In a mixing bowl, sift together flour, sugar, baking powder, cream of tartar and salt. Cut in butter until mixture resembles coarse meal (I do this with my hands). In another bowl, combine egg and milk, and beat lightly with a fork. Add to flour mixture all at once, stirring enough to make a soft dough. Add pancetta and cheese and work into the dough. Turn out onto a floured board and knead about 15 times. Roll or pat out into a 3/4-inch thickness. Cut into 2-inch rounds using a biscuit cutter. Re-roll scraps to create more biscuits. Place on an ungreased baking sheet and bake at 425 degrees F for 12-15 minutes. Serve immediately. how yum! Gotta try this. Thanks for sharing! You’re welcome! They are very addictive, you’ve been warned! Oh I love this! Looks so nice, and the pictures are beutiul !!! Oh my…..! I would do anything to have one of those right now! Do u ship?!?! Ha Tahny! I don’t ship but these are so easy to whip up that you should just try them out for yourself! These look to die for!!!! I wish one would appear in front of me right now. I will try them when I next get my hands on some Gouda and pancetta. They’re quite addictive. Luckily they freeze well so the majority are sitting in our freezer rather than in my belly! I hope you enjoy! xoxo!